I spoke on a panel at an economic development conference last week. 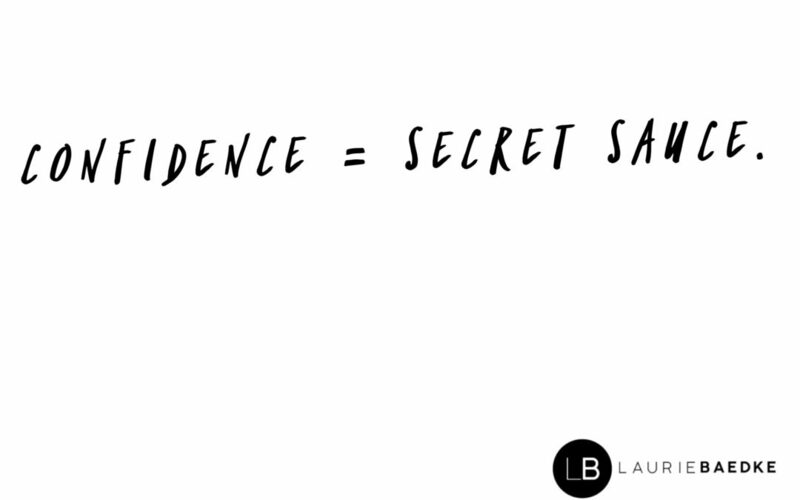 One of my colleagues referenced the power of confidence in predicting success in small business growth. If through knowledge, or community, or guidance, an entrepreneur is provided with a feeling of greater certainty or likelihood of success, he or she is far more likely to fulfill their potential. I love this concept, because a great deal of success comes because people feel success is possible. They work harder because they believe that good benefits will come to them. It becomes a self-fulfilling prophecy. Think about it. When you have confidence that you can achieve, you are more likely to actually succeed. How much easier is it to step into the ring if you know someone believes in you? Or has your back? When people have confidence, they communicate more, take responsibility for solving problems, reach out and believe in common goals, are generous in helping others, are willing to take greater risks, suggest or look for new ways of doing things, and believe their actions make a difference. Doing the opposite makes failure more likely. Unless people have hope for a brighter future, it isn’t possible to solve problems. They must have confidence in themselves, in other people, and in their ability to perform in the future. Focus on strengths. Do what you do best. Lead with your talent, and seek out talent in others. Provide encouragement. Be a source of inspiration. Cheer someone on. Lift another up. Set high goals. Stretch your limits. Challenge your boundaries. Step outside your comfort zone. Celebrate success. Exhale. Hoot and holler. Share the news. Take a break. Express gratitude. And then reset the bar! Have confidence in other people. It fosters confidence AMONG other people.